Tiya Jain is a Baker Program in Real Estate graduate student. Prior to Baker she completed her chartered accountancy course in India (Equivalent to the CPA) and has 6 years of post-qualification experience with multinationals such as Ernst & Young, Deutsche Bank, Deloitte etc. Her last position at Deloitte involved advising large developers and private equity funds on funding, structuring and cost saving transactions in line with the local laws and regulations. Prior to Deloitte, she helped Aldia Capital, a boutique investment advisor in India, set up base in Mumbai. She was responsible for creating trusting relationships with the local real estate developers for the firm to secure $100 mm mandates. Tiya also strengthened local banking and financial relationships to the firm to tie up both ends of the deal making process. She is also interested in sustainable energy solutions, solar technology and she implemented the same for 3 housing societies in her neighborhood in Mumbai to cut energy costs by 25%. At Cornell, Tiya is the VP of Events for the Cornell Real Estate Women’s club that looks at leveraging opportunities for professional growth for women and eliminating the gender differences in the real estate industry. Tiya is also a Junior editor for the Cornell Review. The assignment involves contributing high quality research articles for the Cornell yearly journal and also interviewing real estate industry leaders who speak at the Distinguished Speaker Series. She enjoys playing Sudoku and practicing eastern philosophies such as yoga and meditation in her free time. Post Baker she would like to work in real estate investments and finance. The challenge of finding a home to buy in Vancouver can be hard to address. To address the housing crisis, the city recently implemented an annual tax on empty or under-utilized residential properties called the Empty Homes Tax. Properties deemed empty will be subject to a tax of 1% of the property’s assessed taxable value. This is another attempt to curb foreign investors from crowding out the residential market in Vancouver. 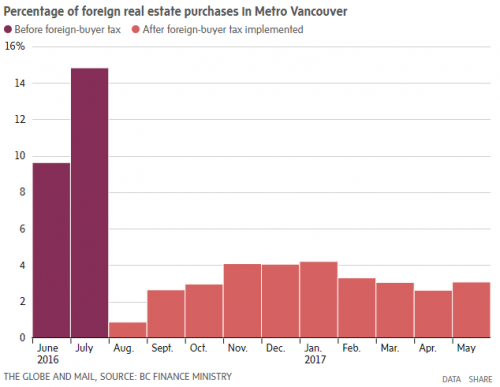 In 2016, the Provincial Government of British Columbia introduced a new 15 percent property transfer tax on foreign real estate buyers in Vancouver. Geared at increasing the housing affordability in the city’s red-hot housing market, this property tax did have an immediate effect on the flow of foreign investments, causing the flow to shift into Toronto and other cities. Why did the municipal and the provincial governments take these steps and others in a slew of capital controls and taxes? How did the housing crisis develop in Vancouver? 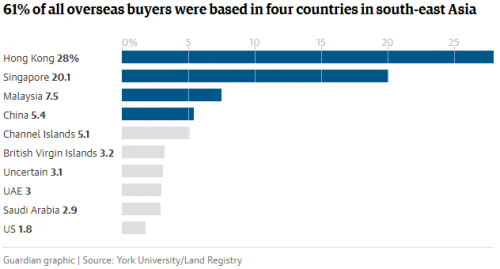 For decades, Chinese investors have been driving up the housing market in Canada. With the fear and uncertainty caused by the impending takeover of the capitalist colony of Hong Kong by the Communist government, wealthy Hong Kong Chinese sought a haven for themselves, their families and their fortunes. And governments the world over have been seeking ways to draw that money their way, if not the people with it. Right up until the July 1997, it’s estimated over 100,000 Hong Kong residents came to Canada. The move was triggered by a policy implemented by Pierre Trudeau, in which wealthy migrants were seen as a means of boosting the domestic economy. Starting in 1976, the Canadian government rolled out a program to attract wealthy Hong Kong immigrants. The immigrant had to create 1 job and establish either a home or have a child attend school. A large number of these residents settled in Vancouver, while others saw it as a way to secure a commonwealth passport. According to a New York Times interview with Terry Hui (one of the largest real estate developers in Canada), half of the 1,200 condos his company built have been sold to Hong Kong investors, who don’t live in them. 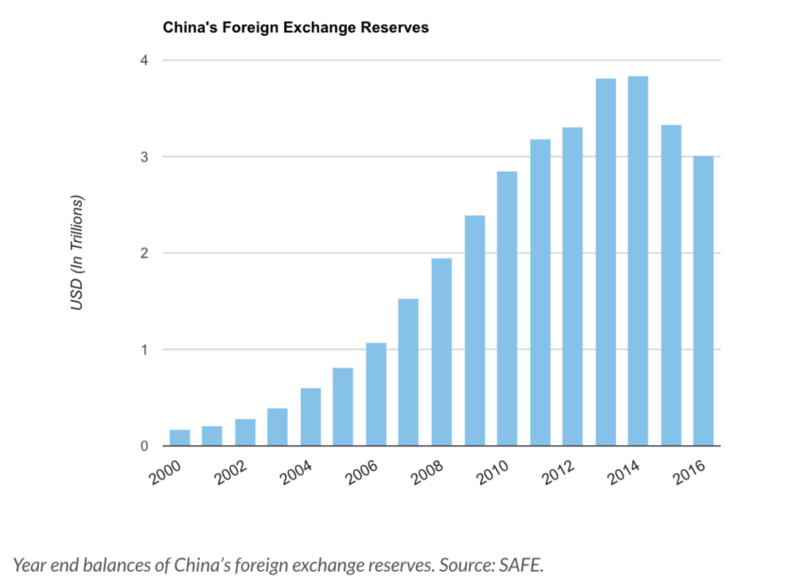 Hui elaborated “No one really got out of Hong Kong…They just shifted their portfolios.” Canadian banks have been active participants in helping Mainland Chinese get money out of the country for years. A process known as “smurfing” is employed by these banks whereby a large amount of money is broken down into small chunks. These chunks are then passed on to different people (called smurfs) and sent to separate bank accounts in another country. 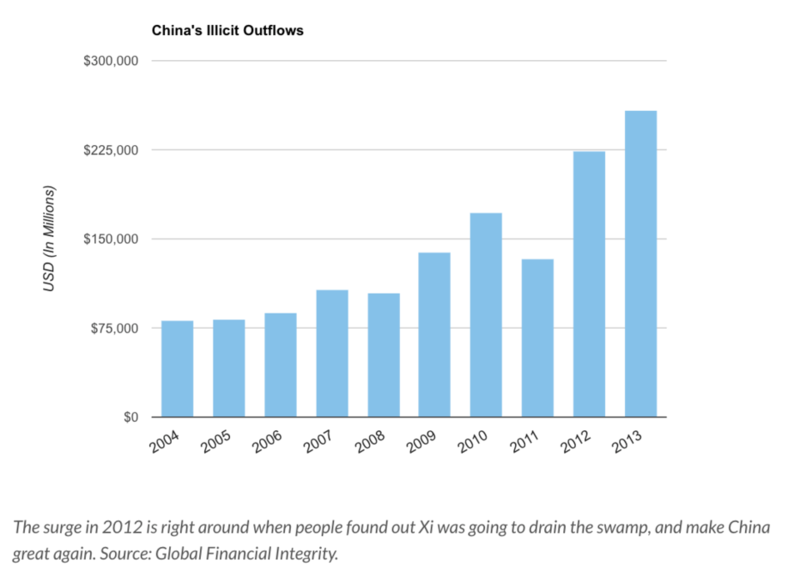 This avoids detection of financial regulators and was a loophole in China’s US$50,000 capital controls. Canadian banks receive the transfers and assemble them into one bank account. The incentive for the banks to undergo this process could be as small as to securing a mortgage for the bank. 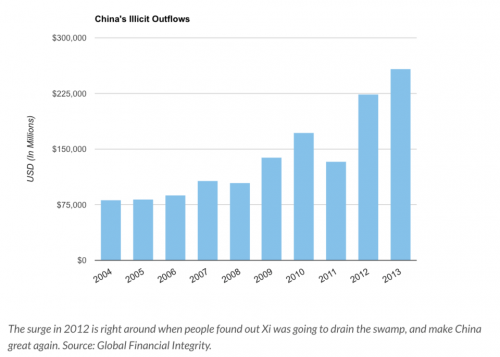 In 2013 over US$258 billion cash left Mainland China. 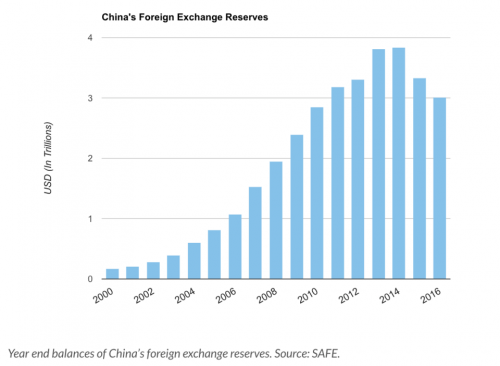 Although there seems to be no comprehensive estimate on how much illicit cash left after that, in 2014 through 2016, over US$1 trillion more left the country than entered. It’s unclear exactly how much of the cash ended up in Vancouver, but there was a massive surge in real estate purchases in the city at that time. But the problem of foreign investments crowding out affordability of housing for local residents is not limited to Vancouver. Prices in Toronto are skyrocketing. The city recorded a 33 percent year-over-year price increase in March, which likely prompted Ontario to adopt its own version of the tax in April. It is hard to say whether the price spike was the result of foreign real estate investors taking their money from Vancouver to Toronto since data indicates the latter has a smaller presence of non-resident homebuyers. In New York City meanwhile, early numbers from the Census Bureau’s Housing and Vacancy Survey show the unoccupied city has ballooned by 65,406 apartments since 2014, an astonishing 35% jump in size in the three years since the last survey. About 247,977 units – equivalent to more than 11% of all rental apartments in New York City – sit either empty or scarcely occupied, even as many residents struggle to find an apartment they can afford. No action has been taken by the local government to discourage such investments. In Hong Kong, foreign buyers, who were already charged with an existing 15% stamp duty rate, must now pay an extra 15% – making it a 30% stamp duty fee on the price of a property. According to a research study by the London School of Economics on property transactions in London, show that around 13% of private market sales completed between April 2014 and March 2016 were to overseas buyers (accounting for 10% of all new dwellings when affordable and social units are included). The problems related to foreign funding are more serious in cities such as London. Property ownership by foreign entities has come under renewed scrutiny following the attempted murder of former Russian spy Sergei Skripal and his daughter Yulia earlier this month. Russian figures connected to Vladimir Putin are thought to own British properties worth close to £1.1bn, and the true value may be much greater because ownership is often concealed. Wealthy foreigners who buy second homes in the London contribute very little in tax, which is why Liberal Democrat and Labour politicians have proposed an annual charge of 1 percent on the value of a house worth over £2 million – meaning that someone living in a £3 million house would pay £10,000 a year. Given these statistics, should local, state and national governments enact laws to curb investments in gateway markets? In the case of Canada, there seems to be a mismatch in the stance of some local governments and the national government policies. Should there be uniformity in thought and action between the two? Where can foreign capital ethically be directed without having an adverse impact on the local residents?